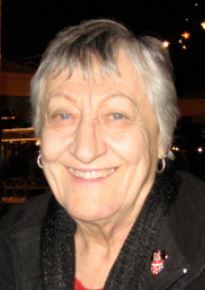 Vineda Ann Smith Mitchell, 75, passed away on Nov. 17 at her home in Monrovia following a long battle with cancer. She was born on May 20, 1941, in Denver to Vincent and Edith Smith. Hence her name is a combination of their names Vincent and Edith. Vineda grew up in Englewood, Colo., and graduated from Englewood High School in 1959. After high school, she attended John Brown University in Siloam Springs, Ark., where she received an associate’s degree. Vineda married Robert Mitchell in 1962 in Englewood, and they were married for 28 years. Early in her life, she worked as a secretary while her husband finished school. She then became pregnant and motherhood began. She stayed busy taking her three children to Scout meetings, ball practices and many other activities. As her children grew, she enjoyed interacting with people so much she began working at the Brown Bag Deli and then on to the Mother’s Cupboard Bakery for many years. She began volunteering at La Cañada High School in the special education department doing filing. She also volunteered her time cutting out articles for the district scrapbook. This led to her 14-year career as a special education assistant at La Cañada High School. She received a La Cañada PTA Founders Day award. Once she retired, she enjoyed regular visits to Disneyland, lots of shopping, church, church groups, book clubs, knitting, Bible study at the Pasadena Nazarene church and meeting friends at a restaurant with Monday’s retirement group from LCHS. Vineda is survived by her three children: Mark and his wife, Suzanne, and their three children, Cole, Gwen and Natalie; Michael and his wife, Joann, and their three children, Daniel, Caitlyn and Autumn; and Melinda and her husband, Dylan, and their son, Mason. A Celebration of Life service will be held at La Cañada Presbyterian Church, 626 Foothill Blvd. on Saturday, Jan. 28, at 3 p.m. with a reception to follow in the Fellowship Hall.